Download Free University Student Identity Card PSD. This University Student Identity Card PSD a prefect for Any types of university, school, companies, offices and more. Yon can also used this Template as university Card, Event Entry Card, Media Press ID Card and many more. Freebie Included with 3 different color options. 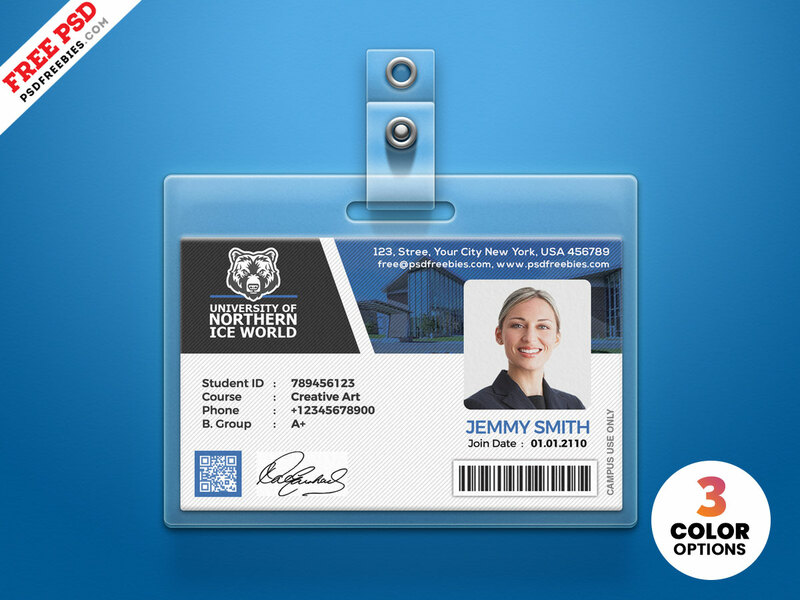 The University Student Identity Card PSD file is fully layered and customizable, so you can change information, background, logo and so on using Adobe Photoshop. This template download contains 3 PSD files with 300 DPI, Print-Ready, CMYK, Print Dimension 2.5 x 4 Inch Layered files (Front and Back). This University Student Identity Card PSD is available for Free Download.